Our high speed 850nm multimode VCSEL chips are designed to meet stringent specifications for high speed data communications. The high performance, high reliability device is engineered with low electrical parasitics for data rates up to 10Gb/s. 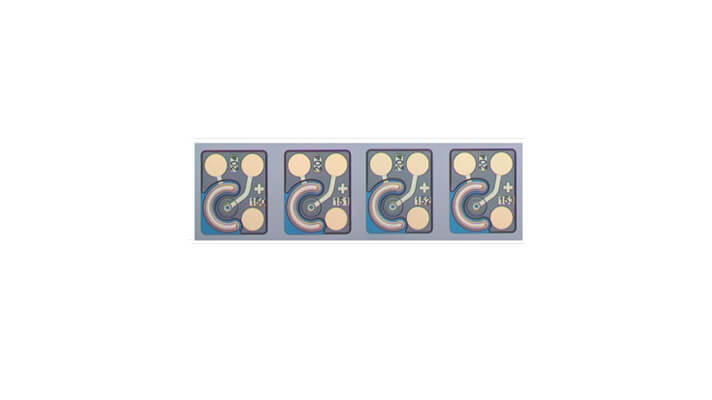 The VCSEL operates in multiple transverse and single longitudinal modes and emits a circular symmetric beam with low divergence that can be efficiently coupled into 50/125 and 62.5/125µm multimode fibers. II-VI's high speed 850nm multimode VCSEL array is designed to meet stringent specifications for high speed data communications. The high performance, high reliability device is engineered with low electrical parasitics for data rates up to 14Gb/s. The VCSEL operates in multiple transverse and single longitudinal modes and emits a circular symmetric beam with low divergence that can be efficiently coupled into 50/125 and 62.5/125µm multimode fibers. 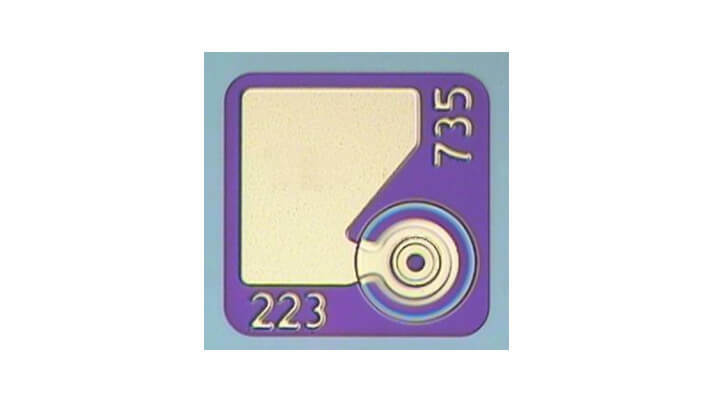 The common cathode chip is available in 4 and 12 channel configuration with a pitch of 250 microns between individual channels. 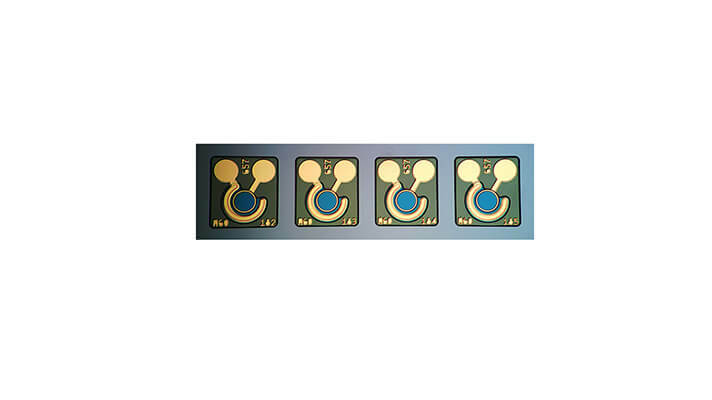 II-VI high speed 850nm multimode VCSEL array is designed to meet stringent specifications for high speed data communications. The high performance, high reliability device is engineered with low electrical parasitics for data rates up to 25Gb/s. The VCSEL operates in multiple transverse and single longitudinal modes and emits a circular symmetric beam with low divergence that can be efficiently coupled into 50/125 and 62.5/125µm multimode fibers. The common cathode chip is available in 4 and 12 channel configuration with a pitch of 250 microns between individual channels. II-VI Laser Enterprise's high speed 850nm PIN Photodiode is designed to meet stringent specifications for high speed data communications. The high performance, high reliability device is engineered with low electrical parasitics for data rates up to 25Gb/s. 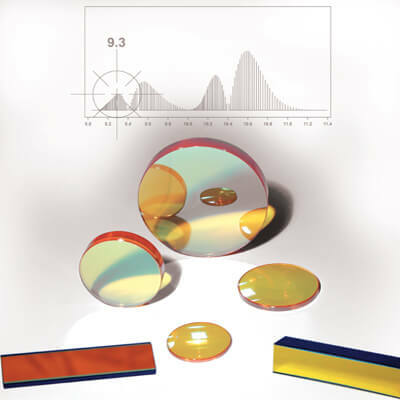 Aspheric lenses are designed to be diffraction limited. 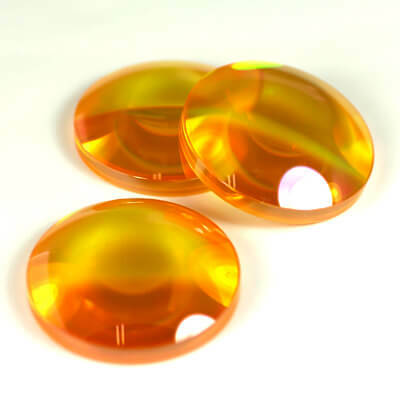 They usually achieve a smaller spot size than both the plano-convex and positive meniscus lens. 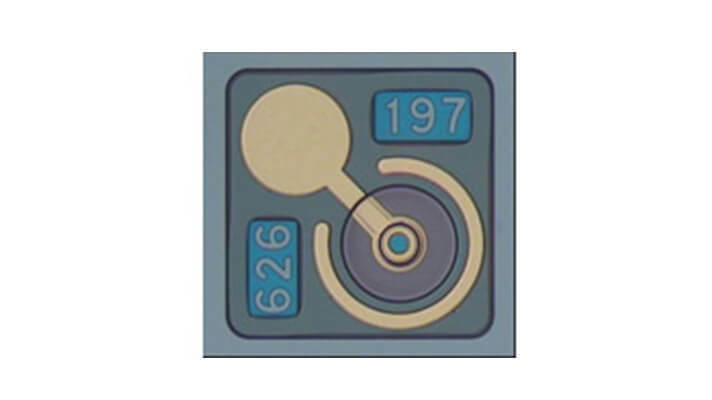 This provides the highest power density at the lens workpiece with equivalent focal length. 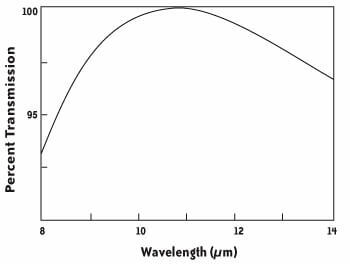 Most CO2 lasers operate in the wavelength band at 10.6µm. This wavelength band is fine for cutting steel and certain other materials; however, other industrial laser applications -- such as plastics processing -- need a different, specific wavelength band for maximum production efficiency. 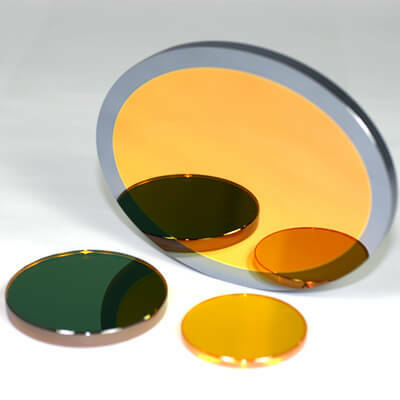 II-VI’s band-selective resonator optics effectively “lock” a CO2 laser to a specific wavelength band for specialized industrial applications, such as the 9.3µm band for circuit board drilling and plastics marking. 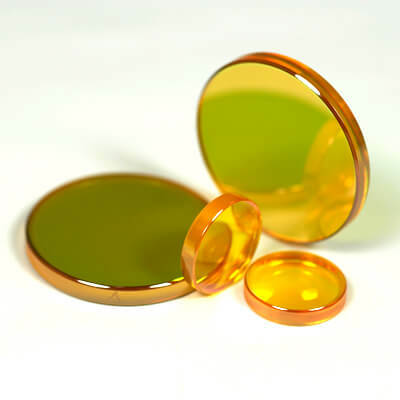 Our band-selective resonator optics are designed for both standard CO2 gas mixes and isotope fills.